After interviewing with a few unity3D shops,I was hit with the same question every single time: “do you have NGUI experience?” – to which I replied “no, but I’m sure I can pick it up”. They didn’t share my optimism 🙂 Enter in NGUI for Unity! What I love about e-books these days is their size and how concise they can be, and this book delivers not only on both counts, but sets you in motion with a very real world example project that covers a great portion of the capabilities of NGUI. Everything from the wizards to widgets to creating atlas’ and fonts is covered. The book isn’t exhaustive in its explanations but IS thorough in pointing out the features and properties of all the components it covers – which makes it easy to follow along with in the examples. The author gets right to the meat of the matter immediately walking you step by step through the sample project. It helps to have Unity3D experience and you’ll have to understand the basics of how unity works with prefabs and code as this book is targeting unity devs looking for a solid UI framework. It IS written in a very practical manner so even a complete beginner could get something out of it. Now, in thinking back about my response to potential clients about just “picking NGUI up”, I see how deep the framework really is. It’s much more than just a set of UI components, and this book really brought me up to speed in a very short amount if time – excellent work! Well, it’s time to start fresh on a few fronts! First, I’m now looking for a new position in Unity3D with another shop. My time with Infrared5 has finally concluded after 6+ wonderful years there! So, if you know of any shops looking for Unity3D developers or have need of a contractor, please drop me an email! 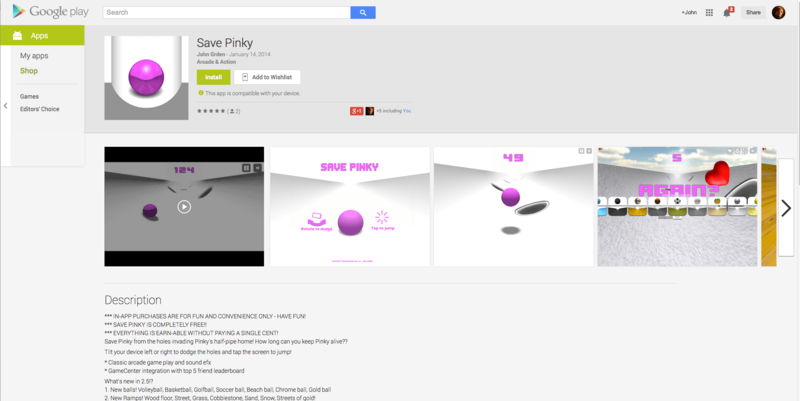 Second, Save Pinky! has received MANY updates and is in for review by Apple right now [update: it’s just been approved and is live in the app store now! ]- I’m hoping it’ll go live by mid January at the latest. But the downloads continue to astonish me! We’re getting well over 150 a day most days and the GameCenter leader board count is well over 12,000! What’s even more, there are TWO players who have posted scores over 1000!!!! what?! Incredible!! My high score is 635, and I can’t imagine hanging on for another 800 holes!! But I’m so glad people have enjoyed it like I have, and with the new ramps and balls, they should have even more fun with it. Third, I updated my blog to a new more clean look and cleaned up some of the images/icons on the right menu for my iOS game titles, and I have made a commitment to start adding more content related to C#, Unity and Flash this coming 2014! Enjoy the screenshots from my work in the past 6+ years with Infrared5! Well it’s been 3yrs since I actually started this little project. I started it when I bought my first iPad and have been tinkering with it ever since on and off. I finally got some help with managing the final tasks and then UniSWF came out and really kicked everything in overdrive. UniSWF rocks – for an old flash geek like me, I was able to create GUI and animations and implement them in Unity3D with complete ease. I had the scoreboards redone and implemented may new animations that would have been nearly impossible for me in Unity3D without the help of UniSWF. So, now that it’s been released, I’m trying to get some exposure, so I’ve dropped the price to free for 5 days. 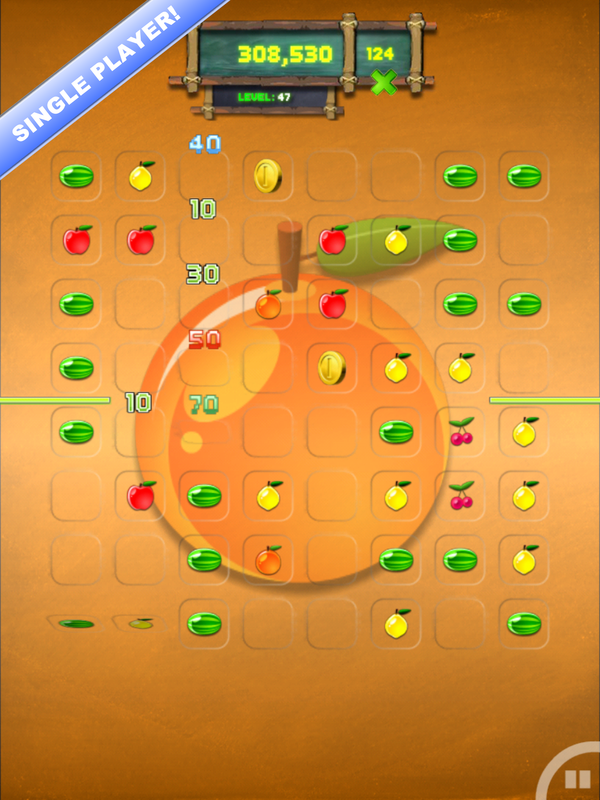 It’s a lot of fun for single player mode where you can challenge your friends on GameCenter as well as challenge your friends and family in 2 and 4 player modes. Just make sure they trim their fingernails before you play with them 😉 It gets vicious!